The Corvette sports car is an American icon. It is a world-class sports car positioned at the top of General Motor’s product portfolio. In the early 90’s the brand was flagging. Quality was poor. Other manufacturers like Honda and Toyota were introducing impressive, competing sports cars. Sales of the Corvette had fallen to record lows and General Motors was losing market share worldwide. 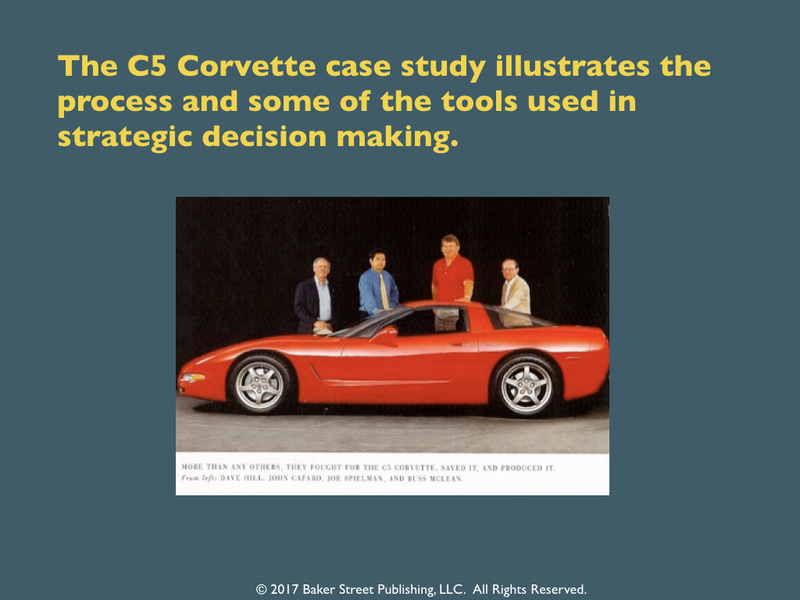 This IEEE Technical and Engineering Management Society(TEMS) presentation describes how the Collaborative Design process was used by a product development team to make the key design decisions for the C5 Corvette. The team started with widely divergent views on what it would take to save the Corvette. The case illustrates how the product development team framed the decisions, developed alternative concepts, integrated market research and engineering, and reached alignment around a hybrid concept. The new concept balances the need for “bragging rights” with the need for comfort, convenience, and safety. Ultimately it met General Motor’s need for a winning product that was highly profitable. The C5 was the flagship of the renewal of General Motor’s product development process. The vehicle was named “Best Engineered Car of the Century” by the Society of Automotive Engineers and was a resounding market success. 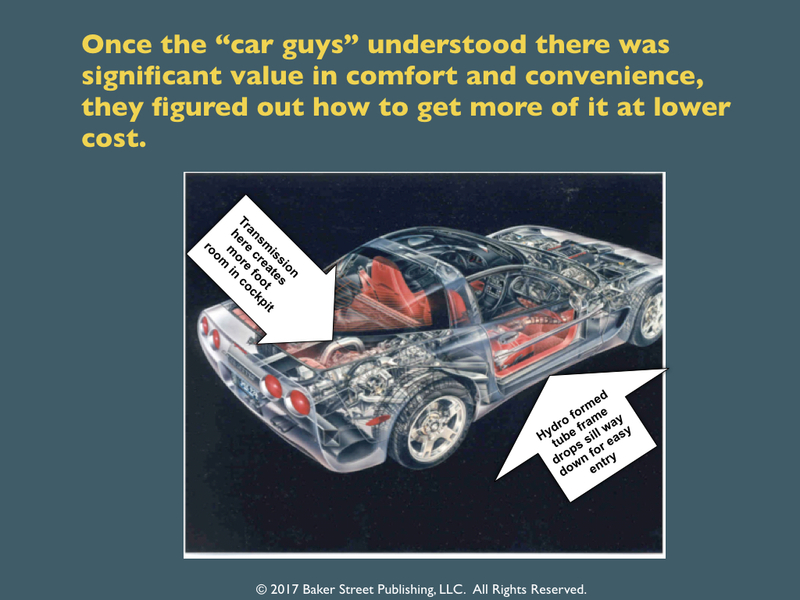 Versions of this presentation have been used in graduate-level management science and engineering seminars at Stanford University for 15 years. The presentation was originally developed in 2001, for the National Research Council Board on Manufacturing and Engineering Design.